HeyBear! A phone app for use while traveling in bear country, to alert bears of your presence. Increase your safety when traveling in bear country. This phone app helps you be heard by bears, so you don't make the mistake of surprising them. HeyBear! works well with Bluetooth external speakers, like the ION Clipster Active. My wife, friends and I have been calling out these words for decades while hiking in bear country in Alaska. As the bear safety saying goes: “Make noise when traveling in bear country”. Sudden encounters with bears, that’ don’t hear you coming, can be dangerous. The HeyBear! phone app helps alert bears of your presence. The app can be used with the phone’s speaker or paired with a Bluetooth external speaker for more volume and better phone battery life. The ION Clipster Active is such an external speaker that works well with the HeyBear! 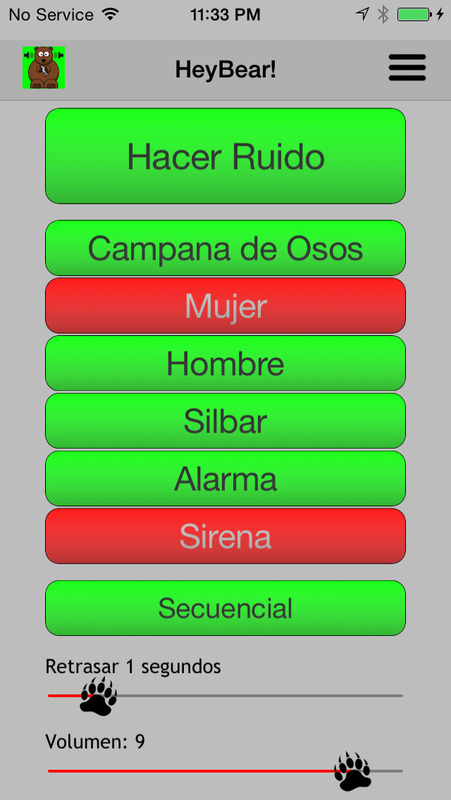 phone app. HeyBear! 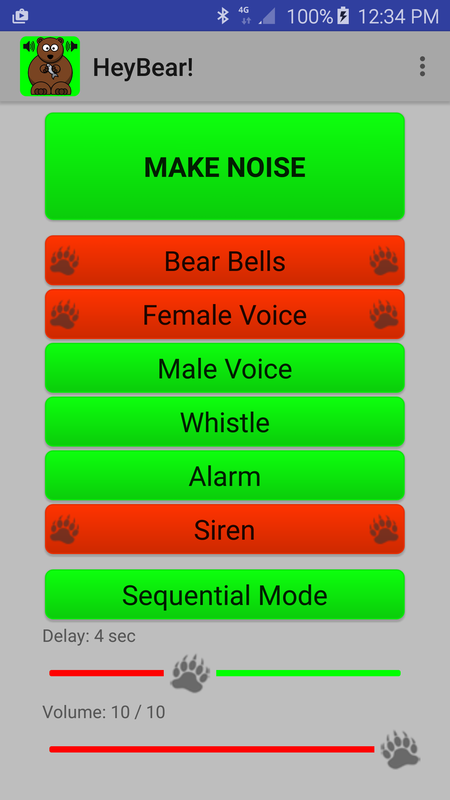 provides a number of progressively assertive voices and sounds: bear bells, female voice, male voice, whistle, alarm and siren. There are four audio clips for each of these sound categories and they can be played sequentially or randomly. 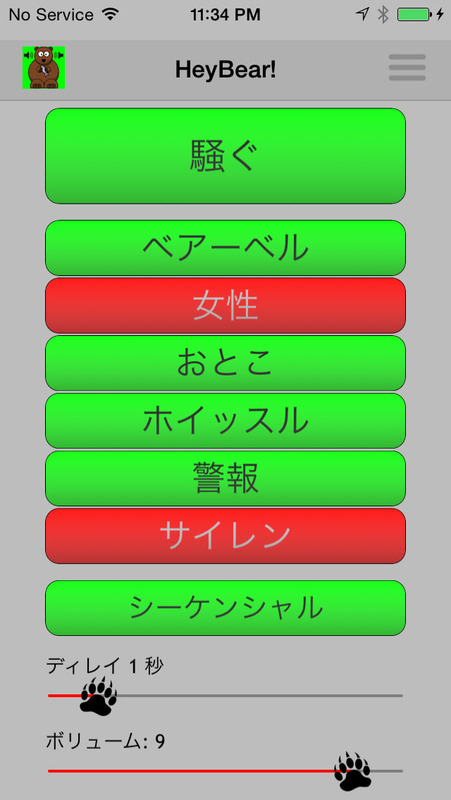 Multiple categories can be selected, so you can customize a variety of sounds. Of course, you can make your own noise when traveling in bear country. But by pairing your voice with this phone app, it will sound to a bear like more people are approaching. This will increase your safety factor. Plus, if travelers are unfamiliar with what sounds to make when in bear country, this app can do the job for them. My companions and I have seen many bears over the decades of recreating in the backcountry of Alaska. But we have never had a bear charge us. Most likely this is because we have let the bears hear us before they see us. Hopefully the HeyBear! phone app can help make travel in bear country safer for you. Version 2.0 Update for iPhone: The HeyBear! 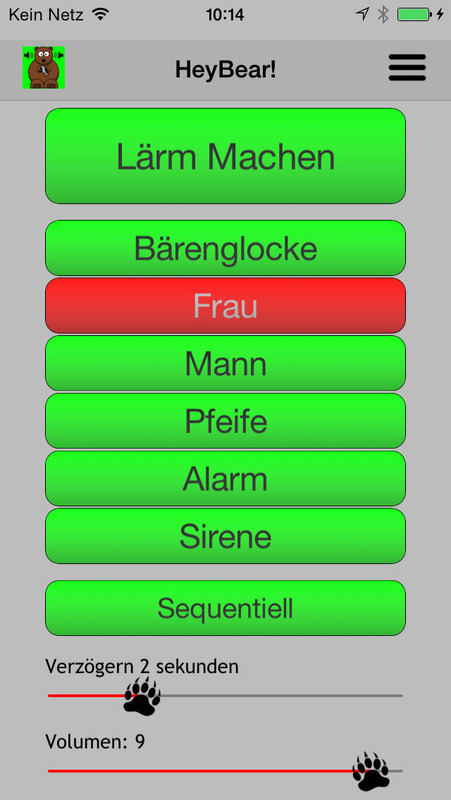 iPhone app now supports 7 differnt languages. If your iPhone has it's default language set to any of the languages shown below, the text on the HeyBear buttons will show your preferred language. Alaskan bears are used to hearing Alaskans. They may become curious hearing foreign languages, especially Asian languages, and want to investigate the strange (to them) sounds. So play it safe. Sound like an Alaskan when you are hiking!